For Sagittarius, life is all about adventure and traveling worldwide to explore more and more. They dint ever want to get shackled on the chains provided by the society and try to break the societal norms through their humor and understanding. They are ardent lovers of learning and keep trying to acquire new ventures with time. As far as gifting Sagittarius is concerned, you could actually make them feel important by giving them a gift of their choice and liking. Sagittari us didn’t want to be aloof from the society or people and they always try and be at the spotlight through their work. They always love to explore new things and being active is what they always look forward to. 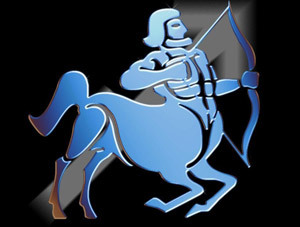 You can find Sagittarius socializing and mixing up with people on various occasions or parties. Playing or watching people playing any game excites them a lot and they could spend hours, seeing some game. Well this makes it easier to think about their gift items. As Sagittarius is travel loving, you could gift them some exotic vacations to make them feel really special. This could make their creative and active brains to get more sharpened. On following the given points you could actually decide on what to give to the Sagittarius as you would come across some best gifting options for Sagittarius in them. You could make them feel most special, if you could take them to an exotic location. This could be any locales of where you live and also many coastal frontiers to which you would like to take your loved ones to. These exotic places and their serenity energize the Scorpio and make them charged up for starting afresh. Books and films are also some good options when you are up to gifting Sagittarius. You could give them some great travel books and other topics that excite them a lot. You could also give them a journal or magazine dedicated to the interests of Sagittarius. DVDs and CDs are also very palpable gifts when it comes to gifting Sagittarius. On a very different note, you could actually give a little movable first aid box to Sagittarius, as they are very accident prone. Take a good look at the first aid box that whether it contains all the necessary equipments or not and gift them to Sagittarius to make them feel that you do care and have love for the person. Expect the unexpected from the Sagittarius. They are not similar with the others and are quite moody. They may get very pleased by attending a music concert or ball dance passes, but at the same time some may prefer to have a look at sports events and games. You could make them happy by buying tickets for crucial games and other sporting events. After all the above mentioned techniques get failed, all you have left to do is to take them on street rides in a horse cart or in your own car. Spending quality time together would become the best gifts for them.